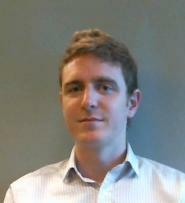 Tom is the Interim Assistant Director of Planning at the Old Oak and Park Royal Development Corporation (OPDC), responsible for OPDC’s activities associated with Park Royal, socio-economic regeneration, planning policy and design. Tom has been working for the OPDC since its inception in April 2015. Before that, he worked for the Greater London Authority and London Borough of Hammersmith and Fulham, working as a chartered town planner on other large-scale regeneration projects including Earl’s Court and White City.